Arcania: Gothic 4 continues the Gothic series of games. 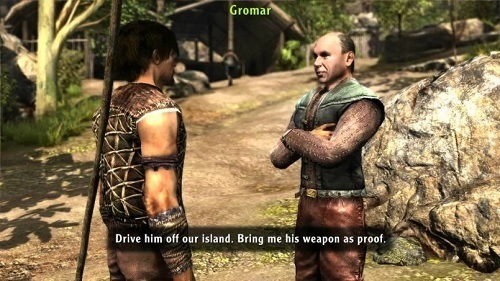 It moves away from previous settings in the Gothic series and instead takes place on an island with an impressive variety of settings. The plot leaves a lot to be desired in Gothic 4 with a very dry and mostly standard storyline that doesn’t do much to hold your interest and can get pretty confusing in the process. The attention was definitely placed more on the gameplay and visual side of things in Arcania: Gothic 4 so if you aren’t one for much of a story focused experience anyway you won’t mind. The game takes place on an island and puts you in the shoes of a simple shepherd on the island. You are due to marry but just before the ceremony a neighbouring king decides to invade your land and destroys the entire village. This attack eventually leads you to an evil demonic power which of course you take it upon yourself to slay. Much of the story follows your adventure as you collect information by helping out the various villagers. The world on offer in Arcania: Gothic 4 is fairly large but isn’t an entirely open world experience. The world is split into a number of zones that tie with the main story and generally are shut off once the player is finished with that map section. The role playing elements in the game are fairly solid with players given complete freedom in how they want to develop their character. 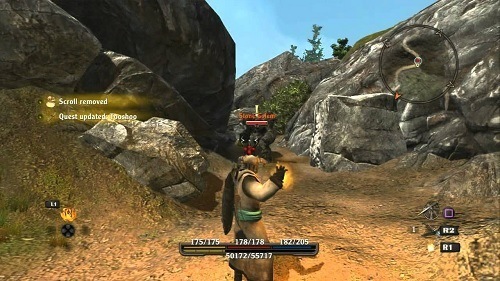 Players can choose to fight with a sword, bow and arrow or magic which offers great variety although magic tends to become the go to combat choice towards the end game. In addition to selecting how to spec your character players have plenty of crafting options available to them with no restrictions on the items you can equip (heavy armour mage anyone?). The gameplay in Arcania: Gothic 4 isn’t awful and will offer you a good 25-30hrs of RPG action. It is let down by the story side of things though but that won’t turn away all players. The fourth game in the Gothic series. Basic storyline with a focus on gameplay. Large world to explore with great environment variety. Use a sword, bow or rely on the power of magic in combat. Good crafting system with plenty of hidden loot and items scattered around the world.